An original print by the famous graffiti artist Banksy was stolen from a Toronto art exhibit over the weekend, with the theft caught on camera. Police say the print, valued at $45,000, was stolen around 5 a.m. Sunday. Security footage of the crime was released Thursday. 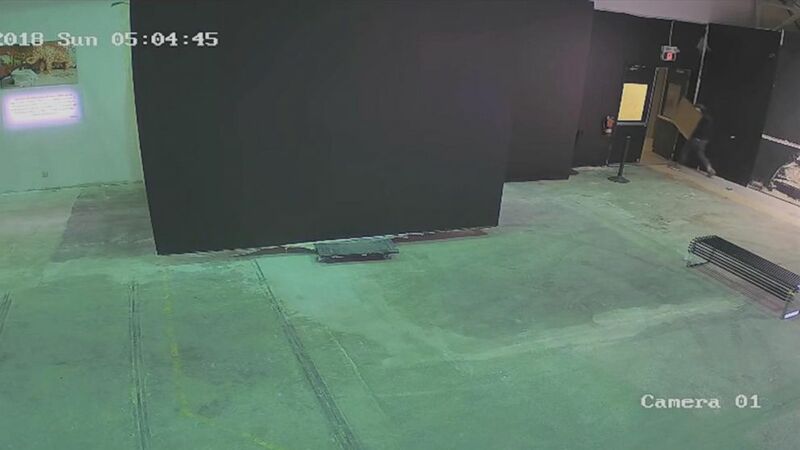 Surveillance video shows an unknown man stealing an original Banksy print called “Trolley Hunters” at a Toronto art exhibit, June 9, 2018. In the video, a man enters the exhibit, picks up the print and goes out the door clutching the art piece. Police have not identified any possible suspects at this time. Toronto authorities say the stolen piece, titled “Trolley Hunters,” is worth $45,000. It shows a group of indigenous people seemingly hunting shopping carts in a grassland. 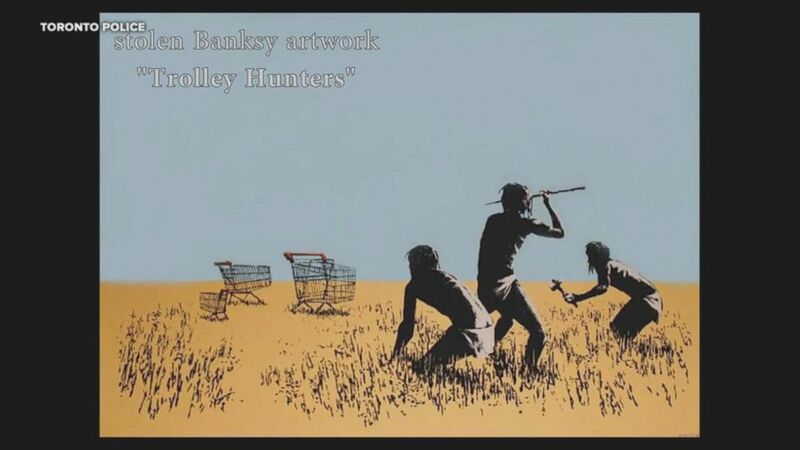 Toronto Police released this photo of an original Banksy print called “Trolley Hunters” from a Toronto art exhibit that was stolen, June 9, 2018. The art exhibit has been touted as the largest collection of Banksy’s work ever displayed. It includes around 80 pieces valued at about $35 million and is scheduled to run through July 11, authorities said.